Measurement Top: 2.45 MTR | Bottom: 2.0 MTR| Dupatta: 2.4 MTR. Pochampally, in Telangana, India, is well-known for its Pochampally brand of fabrics , the saree and the shalwar kameez, the base fabric being cotton, silk or a blend of the two. 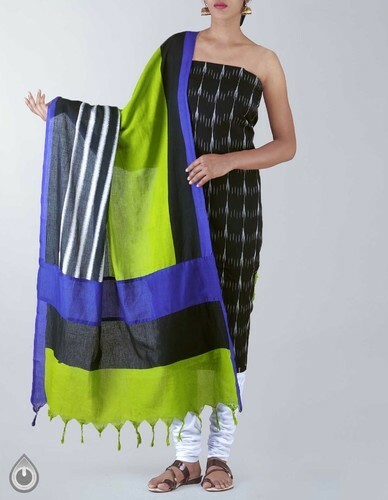 The exquisite finish of the Pochampally salwar suit comes through the dyeing and weaving of pre-coloured threads which are dyed according to the Ikat or Ikkat technique and then woven on handlooms.